Bringing it in line with watchOS. As we build up to the Apple megalaunch today, more rumoured details have been leaking out. 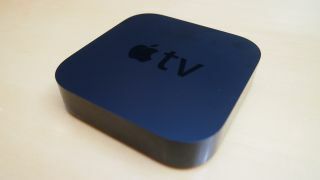 This time it concerns the new Apple TV and it's new operating system. A quick report into today's event by 9to5Mac.com suggests that the new software being designed for the Apple TV wont just be a standard iOS 9 operating system with a new skin. The new tvOS, as it's reportedly being called, will be based on iOS 9 but will also borrow features from the latest version of OSX, El Capitan. These may well be based around the visual interface elements, surrounding transparency effects and the like. It will though still remain familiar to users of the existing Apple TV interface, rather than being a complete, ground-up redesign. Developers have been already been working on specific tvOS apps to be ready at launch, with the site stating Periscope is being one of the first to create a custom application for the the Apple TV. It also claims that AirBnB will also have early applications for the new streaming box. It makes sense for developers to have to create specific apps for the new tvOS software - the difference in screen size, the remote interface and the user's distance from the panel all mean a traditional iOS app wouldn't offer the best experience on Apple TV without serious work. This is why Android TV limits access to the Google Play Store on its sets, but could make app support for the new Apple TV quite limited. That said, if it genuinely was ready to be shown at WWDC earlier in the year then tvOS developers have had ample time to get their applications ready.